Music has always been an important part of John’s life. He played clarinet in school bands and guitar in garage bands. He enjoys many styles of music, from Classical to Ragtime to Dixie to Rock. Bach, Mozart, Armstrong, the Beatles, Pink Floyd, Peter Gabriel, and Green Day are among his favorites. World music, mainly Indian and African music, has also been a favorite genre. In the last 6 years, John has been learning and playing Irish Traditional music. Starting on the Bodhran (an Irish drum), he then switched to guitar, and now plays the mandolin (more recently a mando-banjo for a little more volume). 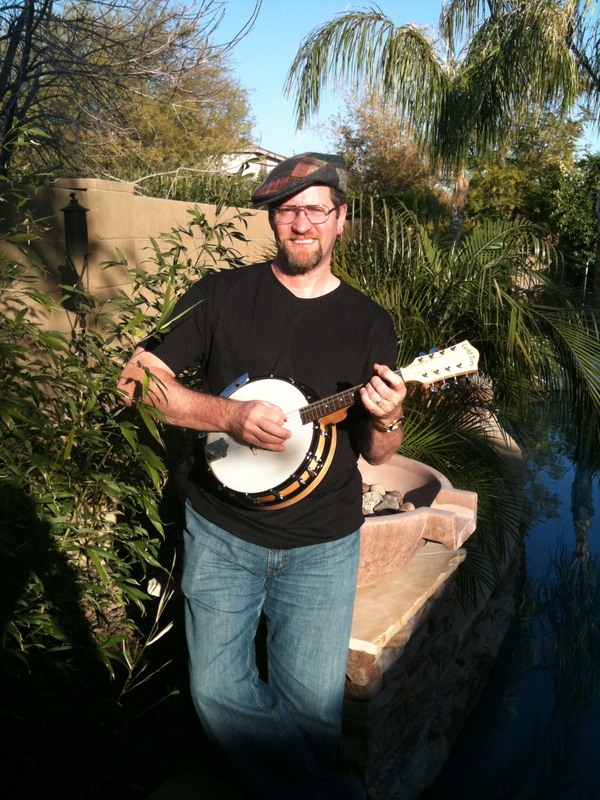 John has played in many sesiuns around Phoenix and been involved in many Irish Cultural Center activities, including playing at their monthly céilís (dances). The Pangean Orchestra provides an opportunity to learn from and play with many talented musicians from around the world.